U.S. existing home sales for May came to 5.62 million, better than the 5.55 million expected and up from April's 5.56 million units. Home sales are up 1.1 percent, compared to April's fall of 2.5 percent. The national median home price hits a record high $252,800, up 5.8 percent from May 2016. This is the result of limited supply. Also, 5 percent of existing home sales were distressed, versus 5 percent in April and 6 percent in May 2016. First time buyers are around 30 percent of the market, lower than where they should be. Buyers are being kept to the side due to high house prices. Crude prices sink into bear market territory. Oil traders discount OPEC's compliance to output cuts and keep cautious on the glut still haunting producers. A seismic shift in Saudi Arabia after the King names Mohammad Bin Salman as the new crown prince in a rare shake-up of the Kingdom's most powerful players. China joins the 1.6 trillion dollar MSCI club, as the emerging market index gives the country's 'A' shares access for the first time. Close but no cigar. A deal still alludes Theresa May's Conservatives and Northern Ireland's DUP ahead of the Queen's speech to open Parliament. CNBCOil prices dipped on Wednesday, trading around multi-month lows, as investors discounted evidence of strong OPEC compliance. In a major political shakeup, Saudi Arabia's King Salman has relieved his nephew, Muhammad bin Nayef, as Crown Prince. 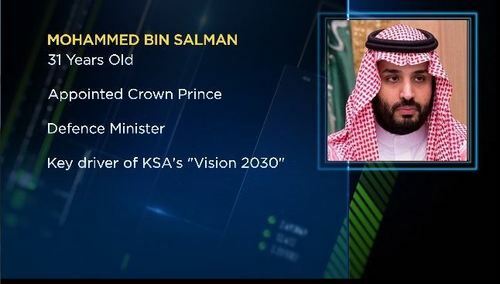 The King is replacing him with his son, 31 year-old Mohammed bin Salman. Uber Founder Travis Kalanick Resigns as C.E.O., that's according to the New York Times. The company’s co-founder had been under increasing pressure, and several major investors demanded that he resign from the company immediately. 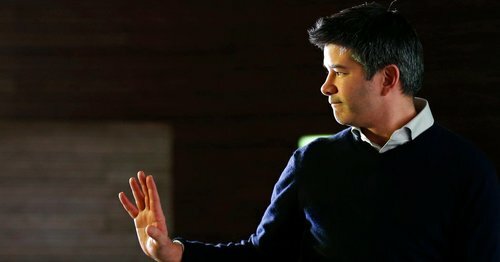 Travis Kalanick's time at the wheel has reportedly come to an end, as the New York Times suggests he has stepped down as Chief Executive of Uber. 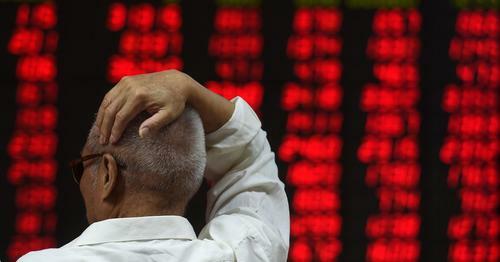 Equities across Asia are trading broadly lower, but mainland Chinese stocks are seeing a lift. This comes after MSCI accepted 222 large cap stocks from mainland China into its Emerging Markets Index. The index said it would add the stocks on a gradual basis from next year. Companies on the list include Bank of China and Tsingtao Brewery. 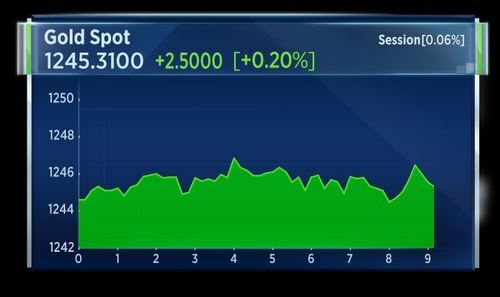 CNBCThe review is the fourth straight year MSCI has considered adding the mainland-traded stocks, known as A shares in China. The dollar pulled back from one-month highs against a basket of currencies on Wednesday as tumbling oil prices pushed down U.S. yields, while the pound wobbled after Bank of England Governor Mark Carney shot down hopes of an interest rate hike. The dollar index against a group of major currencies was 0.05 percent lower at 97.699. U.K. Prime Minister Theresa May's Deputy Damian Green says no individual sticking point in talks with Northern Ireland's DUP, talks are progressing. Green says it will take some time to reach a deal with DUP. That's according to Reuters. 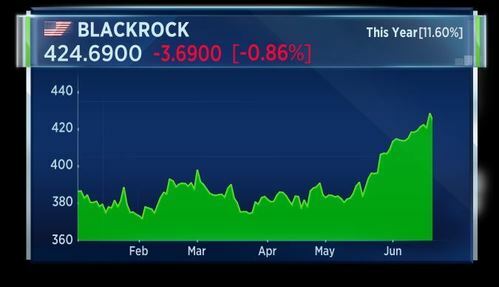 Former Barclays CEO John Varley has resigned from BlackRock's board of directors. Varley served as an independent director for the company since 2009. He was among those from Barclays charged with charged with conspiracy to commit fraud in connection with emergency fundraising in Qatar in 2008. BlackRock CEO Larry Fink thanked Varley for his board service in a statement, saying: "BlackRock and its management team have benefited greatly from his contributions, and I feel privileged to count him as a friend." 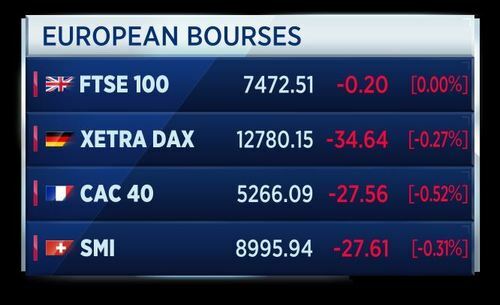 European bourses are expected to open in the red this morning, as investors gear up for news out of the U.K. while keeping a close eye on the oil market for any sharp price moves. Whitbread has reported a near 3-percent rise in like for like sales in the first quarter. The owner of Costa coffee and Premier Inn hotels said total sales rose over 7 percent in the period, in line with expectations. Costa like for like sales were up 1.1 percent. 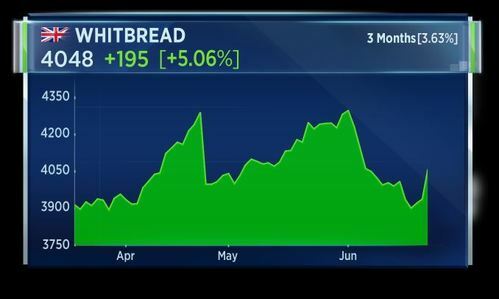 Whitbread said it had made a good start to the year and that planned hotel and coffee shop openings remain on track. 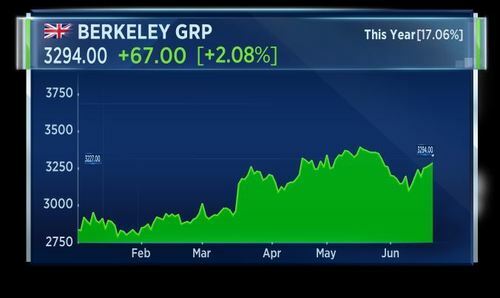 Berkeley posted a better-than-expected 53 percent rise in pretax profit for the full-year. The British homebuilder said it is on track to deliver at least 3 billion pounds in pretax profit in the next four years, but warned that tax rises on top-end properties and Brexit could harm the sector near-term. 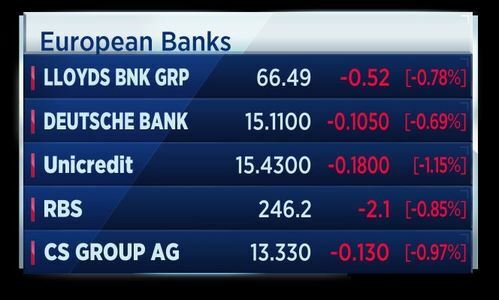 Air Berlin shares are rising after its CEO said the airline no longer needs state guarantees. 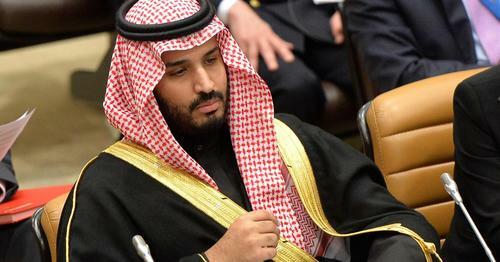 The elevation of Saudi Arabia's deputy crown prince Mohammad bin Salman to crown prince, a position that places the 31 year old next in line to the throne, could be met with resistance at home. CNBCThe elevation of Saudi Arabia's former deputy crown prince Mohammad bin Salman could be met with potentially violent resistance at home. 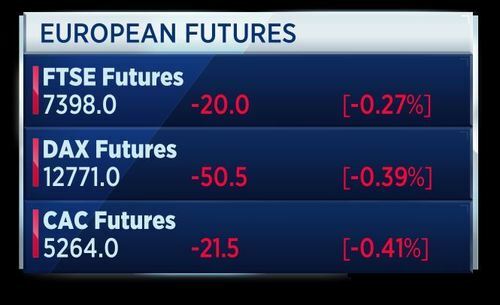 Crude prices sink into bear market territory, putting investors on edge and dragging European equities into the red. A seismic shift in Saudi Arabia after the King names Mohammad Bin Salman as the new crown prince in a significant shake-up of the Kingdom's most powerful players. 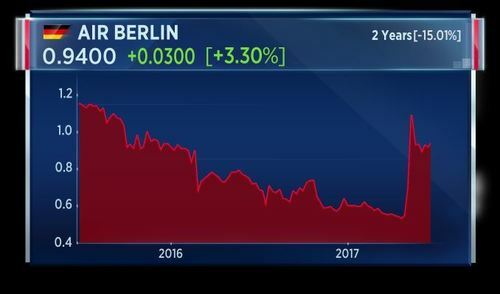 Shares of Air Berlin take flight after the company's CEO says the airline no longer needs state guarantees and will not ask for state support. Travis Kalanick's time at the wheel has come to an end, as he steps down as Chief Executive of Uber amid a shareholder revolt. U.K. public borrowing fell in May, as value-added tax receipts hit their highest on record for the month, official data showed Wednesday. Britain's public borrowing stood at 6.7 billion pounds ($8.5 billion) last month, the Office for National Statistics said. This was slightly lower than the GBP7.1 billion seen in May 2016 and below the forecast of analysts, who expected the borrowing to have increased to GBP7.5 billion. It was also the lowest borrowing figure for the month since 2007, the ONS said. Daryl Liew, Head: Portfolio Management at REYL Singapore, comments on the announcement by MSCI to include China A Shares to its benchmark emerging market index. The inclusion of China A-shares in the MSCI indices is a milestone in the development and liberalisation of China’s financial sector. This comes on the back of the launch of the Shanghai-Hong Kong & Shenzhen-Hong Kong stock connect programmes that currently allow foreign investors to invest in the onshore China stock market, and the impending launch of Hong Kong bond connect allowing access to the China bond market. While the initial allocation in the MSCI EM index is relatively small, this allocation will inevitably increase as China capital markets continue to expand. Gold inched up on Wednesday after hitting its lowest in five weeks in the previous session, buoyed as equities fell and the U.S. dollar eased from one-month highs following a tumble in crude oil prices. 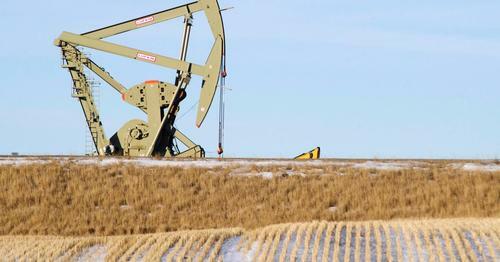 Oil prices have once again declined, weighed down by a large supply glut, as Crude plunged into a bear market on Tuesday, falling another 2.2% to settle at a nine-month low of $43.23 a barrel. Oil is down 22% from early January and therefore officially in a bear market. The energy markets are operating on a back foot, due to concerns there is too much oil despite the OPEC-led production cutbacks. Expanding US shale production continues to dilute the efforts by OPEC and Russia to stabilise the market prices. The oil worries spread to Wall Street as energy stocks, already the biggest losers this year, took another hit on Tuesday. Mr. Kalanick's exit came under pressure after hours of drama involving Uber's investors, according to two people with knowledge of the situation, who asked to remain anonymous because the details are confidential. Earlier on Tuesday, five of Uber's major investors demanded that the chief executive resign immediately. The investors included one of Uber's biggest shareholders, the venture capital firm Benchmark, which has one of its partners, Bill Gurley, on Uber's board. 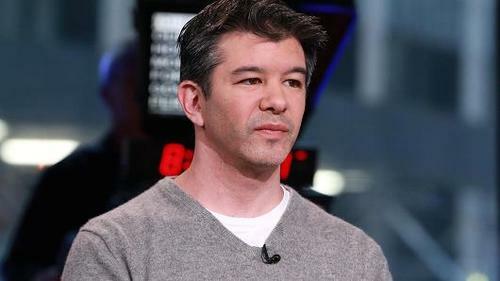 The investors made their demand for Mr. Kalanick to resign in a letter delivered to the chief executive while he was in Chicago, said the people with knowledge of the situation. That according to the New York Times. The Duke of Edinburgh was admitted to King Edward VII Hospital in London last night, as a precautionary measure, for treatment of an infection arising from a pre-existing condition. Prince Philip is in good spirits and is disappointed to be missing the State Opening of Parliament and Royal Ascot. The Prince of Wales will accompany The Queen to the State Opening. Her Majesty is being kept informed and will attend Royal Ascot as planned this afternoon. Queen Elizabeth will shortly address the U.K. Parliament, laying out the government's legislation for the next two years. 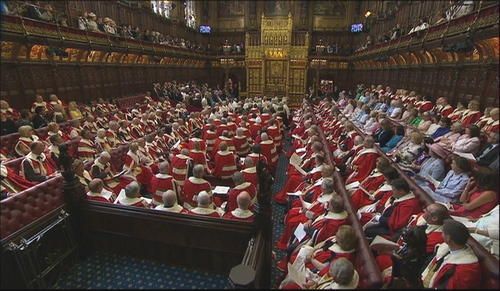 Peers are waiting in their seats for the Queen, dressed for the ceremony. 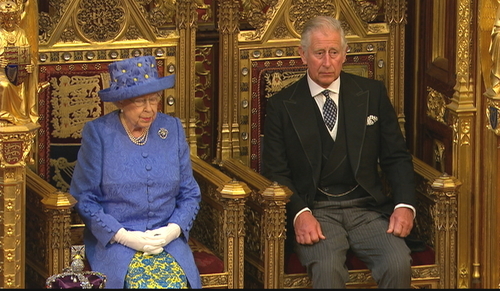 The queen is taking her seat in the House of Lords, accompanied by her son Prince Charles. Here are some more images of the ceremony. 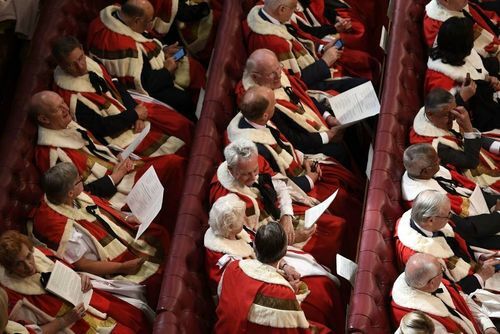 The U.K.'s elected politicians are now joining their peers in the House of Lords to listen to the Queen's Speech. The queen says her government will seek to "make a success of Brexit". She says the government's priority is to secure the best Brexit deal possible. She says the government will seek to improve the country's finances while keeping taxes low. The national living wage will be increased, according to Queen Elizabeth. Protections in the workplace will be increased, and the gender wage gap will be addressed, according to the speech. The Queen's Speech focused on securing the best deal for Brexit and implied the government will collaborate with business and the U.K.'s devolved governments to gain broad consensus for Brexit. Shortly before the U.K. monarch delivered the Queen's Speech, President Trump was on Twitter offering advice to the Democrats. 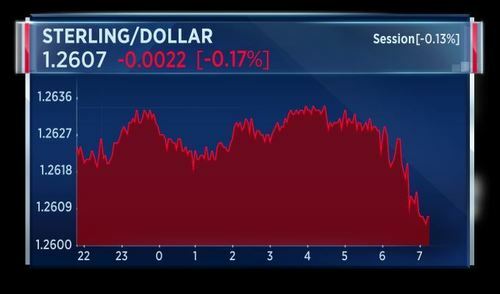 The U.K. currency has spiked against the dollar following comments from Bank of England chief economist Andy Haldane. He says he expects to vote for a rate hike this year, causing the currency to jump. Bank of England chief economist Andy Haldane says a withdrawal of stimulus would be prudent and such as tightening is likely to be needed ahead of market expectations, according to Reuters. He says the withdrawal of stimulus is needed relatively soon, and is a sign of the central bank's monetary policy committee confidence in the economy. He indicated he expects to vote for a rate hike this year. Haldane has previously been viewed as a dove. 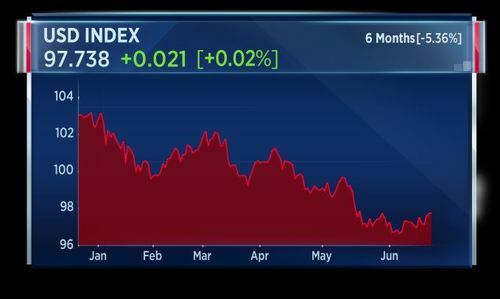 His comments come in contrast to Bank governor Mark Carney's comments yesterday, saying now was not the time for rate hikes. Sterling rose 0.4 percent against the dollar and U.K. gilt futures dropped by around 20 ticks in response to his comments. 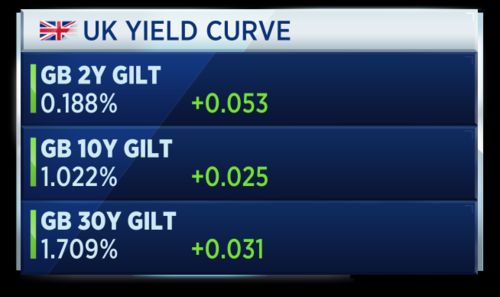 Here's how the U.K. yield curve is now looking. A spokesman for U.K. Prime Minister Theresa May says President Donald Trump's state visit to Britain wasn't included in the Queen's Speech today because the date hasn't been fixed yet. 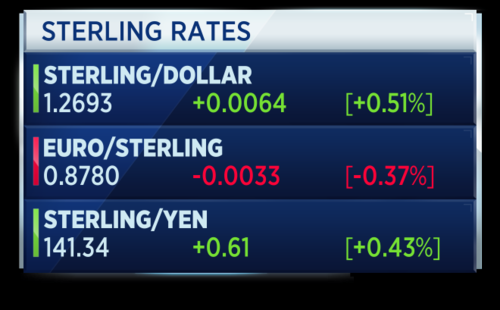 Sterling continues to rise against other currencies following Andy Haldane's hawkish comments regarding tightening monetary policy and removing stimulus. 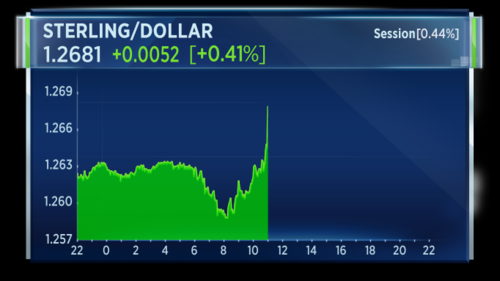 The pound is now up by more than half a percent against the dollar.